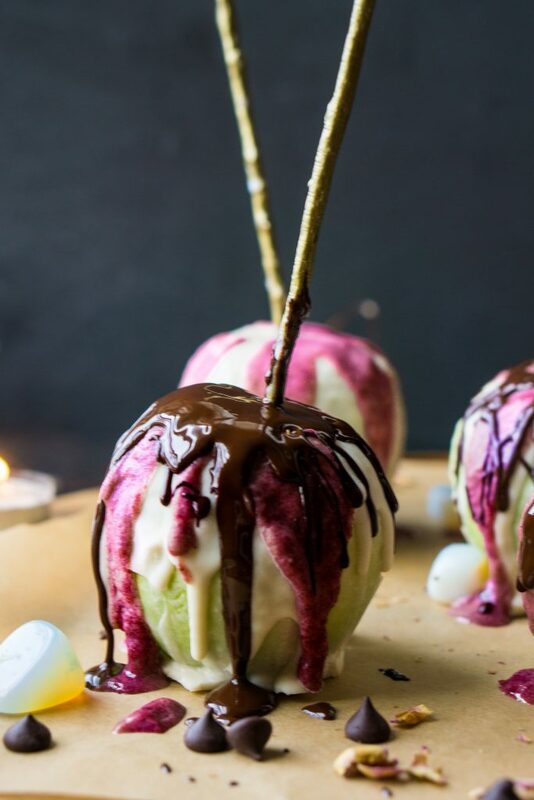 Dark Chocolate Coconut Covered Apples (vegan, paleo, keto & sugar-free) are such a magical treat, they literally take like 10 minutes out of your day to make. They remind me of Snow White, and I don’t know what it is about them but I feel so enchanted and empowered. Do you ever feel like you just conquered the world once you have made one of your favorite recipes? I sure do. 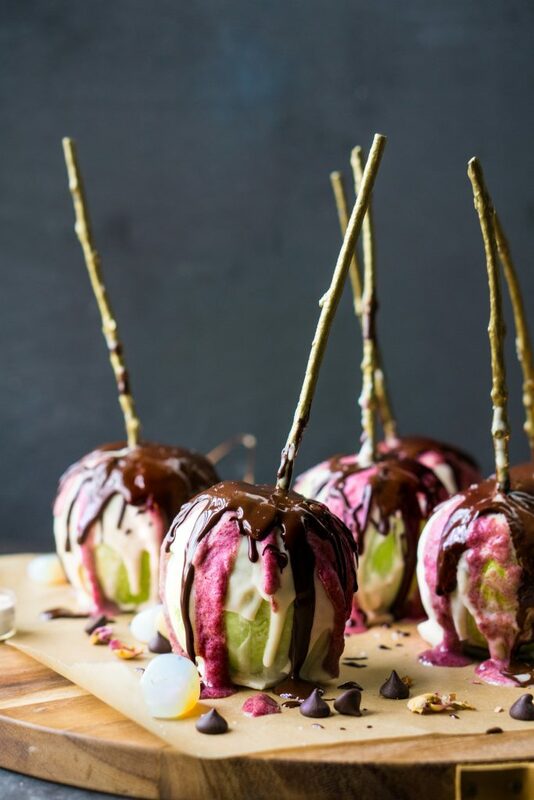 All you need for this recipe is your favorite dark chocolate, which if you have been following me for a while you know it’s Pascha Chocolate. Whether they are kind enough to sponsor a recipe of mine, I 100% will always choose them. Why? Because this is the only chocolate chip that I can use and not feel like I am sacrificing my chocolate standards. Their 100% dark chocolate, is all organic, vegan, fair-traded and they don’t have all the weird fillers and ingredients. I also have met them, you know (in real life) and they are the real deal. A family run business conquering the world with healthy chocolate, while raising their kids. So if you are on the market for a good chocolate, and have all the restrictions or allergies. I couldn’t recommend them enough, I promise they have good vibes, and intentions all around. 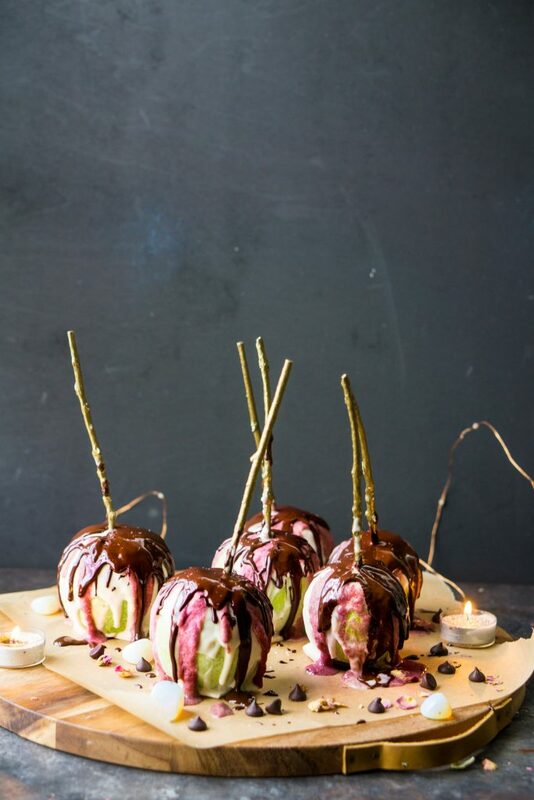 Now back to these enchanted chocolate coconut covered apples, it’s Halloween in like one day! 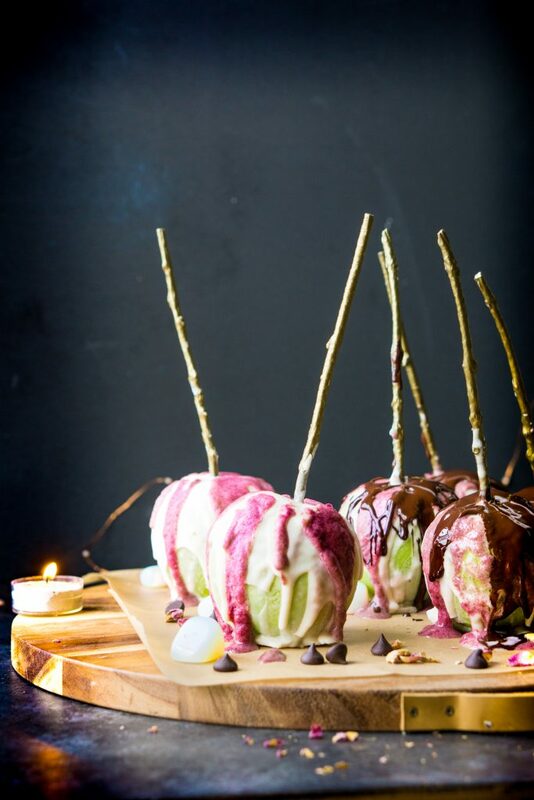 & these are the most wonderful treat that you can whip up in like 10 minutes! & they are tasty and naturally sweet! You can use your own sweetener of course. I am sensitive to any sugar and even refined sugars, so I use Monk Fruit Powder, it’s similar to stevia but it’s super potent, and make everything just the right amount of sweet without the consequences. I also used cranberry powder for the natural coloring because… to be honest… artificial coloring straight up freaks me out! Okay, enough rambling you can now scroll down for the recipe! Enjoy! 6 small organic green apples I got mine from Imperfect Produce. 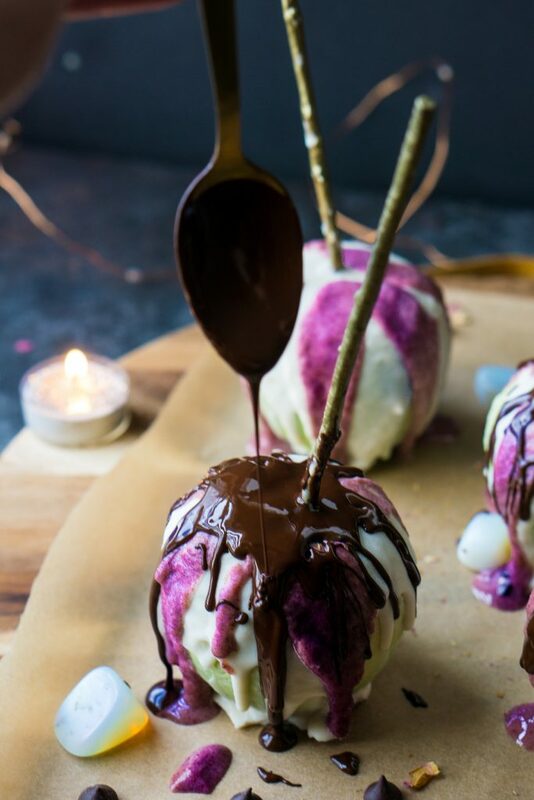 Melt white coconut butter layer ingredients in a double boiler – set the mixture to the side and wait until it is room temperature in order to thicken- **this step is crucial in order for the batter to stick the to apple! if the batter is too liquidy add in more coconut milk powder, and make sure it isn’t too warm. After the first layer stick them in the fridge in order to set quickly. Melt the cranberry layer ingredients in a double boiler. Melt the chocolate layer in a separate double boiler. P.S. You will likely have extra melted chocolate and coconut butter so if you do I suggest making some coconut butter cups, in any silicone molds or muffin cups that you have.